KARL MAYER develops and manufactures high-performance warp preparation machines for both weaving and warp knitting and, in order to do this, uses the synergies that exist between the two sectors. The WKD-SP is the latest result of this know-how and technology transfer. This direct warping machine is based on the WARPDIRECT® machine for the weaving sector, and processes staple-fibre yarns. Producers of warp-knitted, cotton terry towels should find this particularly interesting. 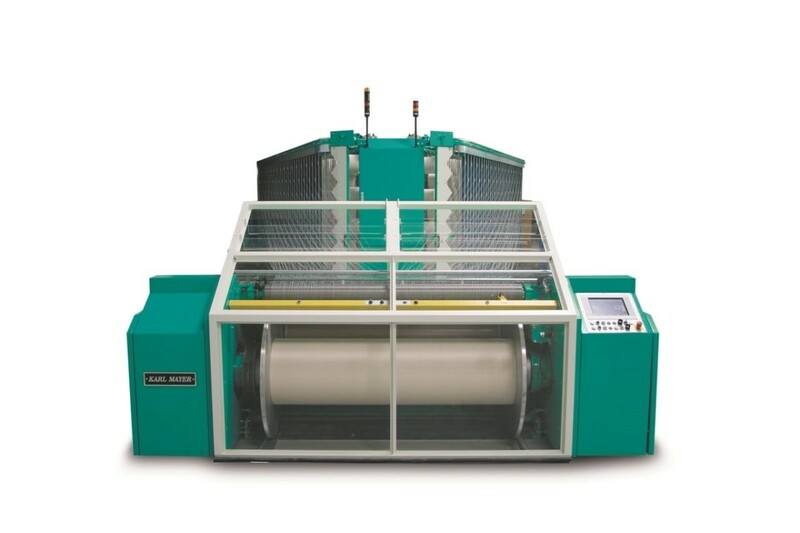 This new machine delivers all the performance features of its predecessor but, above all, its advantages can be exploited by using back beams, with their wider widths, as sectional warp beams (SWBs) in the warp knitting sector. Die WARPDIRECT® is a universal direct warping machine for processing every type of staple-fibre yarn. It produces high-quality beams for the slasher dyeing process in denim dyeing, for combining all the yarns on the warp beams on the assembling machine, and for processing in a sizing machine with subsequent warp beam production. The back beams for these various processes are of the highest quality. The beams are completely cylindrical, thanks to an intelligent press roller system and optimum yarn laying, and the yarns are arranged extremely accurately. A computer-controlled length measuring system delivers a length accuracy of 0.1 %. The yarns are also handled very gently. Other advantages of the WARPDIRECT® include its low maintenance costs and high productivity. The maximum warping speed is 1,200 m/min. The easy-to-use, graphic touchscreen guarantees optimum machine usage. All these advantages enable the WKD-SP to now be used for the production of SWBs for the warp knitting sector as well. The starting point for modifying the WARPDIRECT® to create the WKD-SP were the demands made by the TM 4 TS EL during use. An efficient direct warping machine was needed to match this efficient machine for producing warp-knitted cotton terry towels. The modifications that were needed relate mainly to the software. The program changes enable constant yarn tension levels and completely uniform SWB circumferences to be produced. SWBs with the same circumferences and yarn tension levels are needed, since several of them are processed at the same time on the TM 4 TS EL. The SWBs of the new direct warping machine have the same width as back beams. This means that the number can be reduced when loading the machine, and the direct beaming process becomes more efficient. For example, with a TM 4 TS EL with a gauge of E 24, a working width of 186″ and the normal threading arrangement of 1 in, 1 out, eight SWBs per axle of the beam frame can be reduced to two large-format ones. KARL MAYER is putting the emphasis on flexibility by concentrating specifically on the width of the SWBs. For example, the extra-wide SWBs can also be used on its tried-and-tested direct warping machine and, for the WKD-SP, this manufacturer enables back beams to be processed to suit customer requirements. Customers are, therefore, able to use beams supplied by both local and global suppliers.